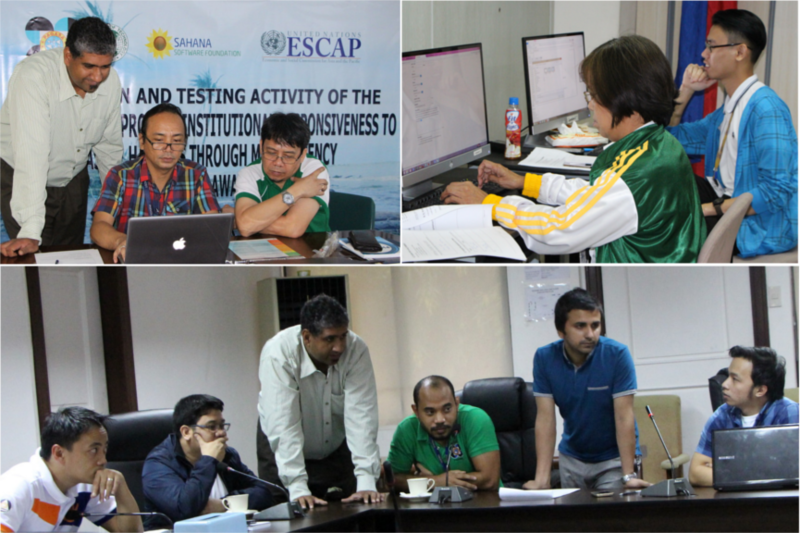 SAMBRO is based on the “Cap on a Map” project to improve coastal resilience through a cross-agency situatioanal-awareness platform in Myanmar, Philippines, and Maldives. 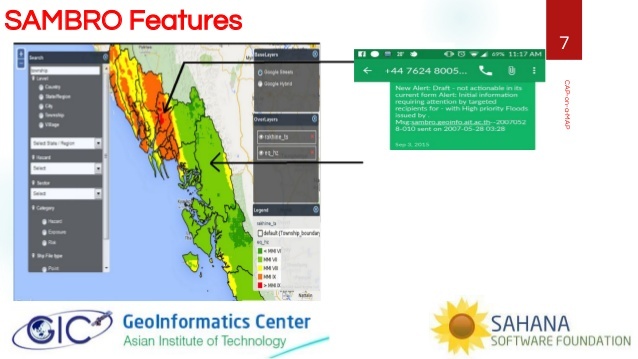 SAMBRO makes use of an International warning standard to bridge the last mile and bring efficiency to early warning practices. Built on the Sahana Eden framework, SAMBRO is a messaging broker designed to Publish and Subscribe Common Alerting Protocol (CAP V1.2) warnings fostering all-Hazard all-Media warnings. I joined the project to coordinate a prototypical mobile client for Android and iOS with a small team of developers at AIT in Bangkok. SAMBRO is under active use in Myanmar, Philippines, and Maldives.